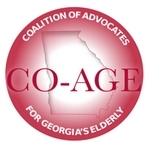 Leading Age and Georgia Gerontology Society have teamed up to bring you this great event again. It will be held from 9am-3:30pm at the GTRI Conference Center at Georgia Tech. This year's event will include a "Shark Tank-like" event called "Pitch-for-Pilots!" You can find out more information and register by following this link. Aging in Place in America!